Nordic GSE is committed to providing high-quality products in a manner that ensures a safe and healthy workplace for our employees and suppliers and minimizes the potential impact of operations on the environment. 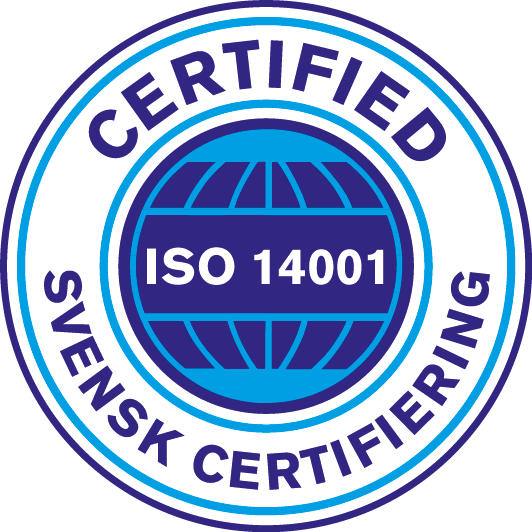 Nordic GSE is certified and works according to ISO 14001. We are operating in compliance with relevant environmental legislation and we strive to use pollution prevention and environmental best practices in all we do. Integrate the consideration of environmental concerns and impacts into our decision making and activities. Minimize our waste and then reuse or recycle as much of it as possible. Minimize energy and water use within our operations and processes in order to conserve supplies and minimise the consumption of natural resources. As far as is possible, purchase products and services that cause least damage to the environment. Promote environmental awareness among our employees and suppliers, and encourage them to work in an environmentally responsible manner. Communicate our environmental commitment to stakeholders and encourage them to support it.